Happy 2017! 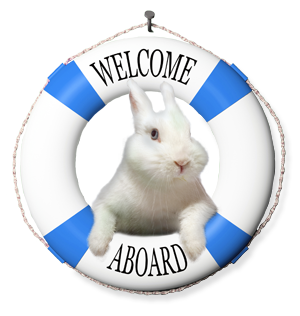 Leaping Bunny has hit the ground running and anticipates lots of excitement for the new year. One thing is for sure, making the cruelty-free commitment continues to be a growing trend with companies and in the personal care/cosmetic/household products industry. This e-newsletter features a vast array of subjects to suit everyone's interest and needs. 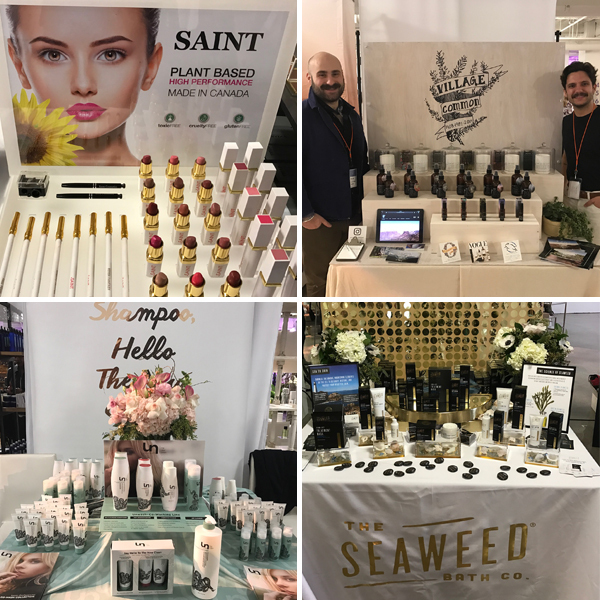 We start off with a few product suggestions to keep your skin nourished during these winter months and share our experience from Indie Beauty Expo, which was held in Los Angeles on January 19th. We also announce our most recently certified companies and interview Loa Skin Care. Be sure to read through to the end for 50% off promo codes with Raspberrymint and Passport to Organics. Now that we're getting into the nitty-gritty of winter, protecting the skin from the cold winds and bitter elements is high priority. Below are some wonderful, effective products to keep you hydrated and moisturized over the next few months. 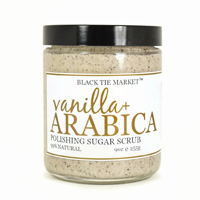 This scrub is both an effective exfoliator and moisturizer. The coffee bean granules gently exfoliate the skin while the blend of nutrient rich plant oils hydrate. This product is so rich, moisturizing afterwards is optional. Another perk, it smells absolutely amazing. 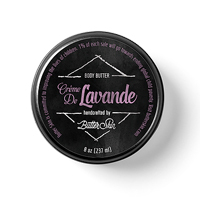 Made with only five all natural, mostly organic ingredients, this body butter is super hydrating and soothing. It applies smoothly and melts directly into the skin. The combination of vanilla and lavender is both luxurious and relaxing. It is the perfect addition to your nighttime bathing routine. 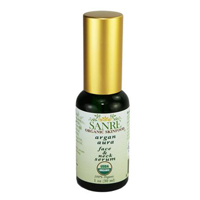 This serum is a blend of plant oils that nourish and revitalize the skin. The ingredients include argan oil, which is known for its anti-aging, anti-inflammatory, anti-oxidant, and anti-acne properties. After use, I notice an undeniable glow from my complexion. The Leaping Bunny team recently traveled to Los Angeles to attend the Indie Beauty Expo on January 19th. It was such a wonderful experience! We met with several of our certified companies including Call of the Vialed, erbaviva, Saint Cosmetics, The Seaweed Bath Co, Unwash, Village Common Mercantile, and Whish Beauty. We also met with over 50 companies interested in becoming Leaping Bunny certified. Be sure to check out our Facebook Live interview (Part 1 and Part 2) with one of our companies, Poethique, which we streamed live from the Expo. This year is starting off right with companies continuing to make the cruelty-free commitment. Check out the latest additions to our Compassionate Shopping Guide below and be sure to click their links to learn more. Health conscious company that promotes the healing elements of Mother Nature by creating body care products free of synthetic fragrances, dyes, and additives. Lousiana-based brand creating all natural vegan skin care, soap, and aromatherapy. Clean, healthy, sweat-fighting, anti-aging, eco-friendly, and effective line of personal care products created for the outdoor adventurer. Highly concentrated skincare from natural ingredients to create a skin nourishing and advanced anti-aging formula. Artisanal, plant-based beauty company specializing in products derived from sustainably harvested plants. Environmentally and socially conscious company focusing on hemp-based personal care products, lip balms, and soaps. Essential Oils, essential oil blends, and essential oil based skincare formulated by a certified aromatherapist. 100% natural and ethical beauty products made from sustainably produced oils benefiting farmers and women in Haiti. Handcrafted high-performance vegan skin care made with organic and non-GMO ingredients. All-natural, sustainable baby skin care products. Responsibly sourced, sustainably crafted fragrances. Artisan, all natural, plant-based skincare products created in Westbrook Maine. Chic, classy, cruelty-free beauty and skincare. 7 free, vegan, gluten-free luxury nail polish designed in Orange County, California and made in the USA. Organic, natural, therapeutic, and commercial grade products to create unique, thoughtful scents used to attract, heal, and mellow the soul. Natural antibacterial, antiseptic, antifungal moisturizer created for a woman's most sensitive areas. Natural, vegan eyelash serum that promotes thicker, fuller lashes and eyebrows. This month, we are super excited to interview Spencer Angeltvedt, the founder of recently certified Lōa Skin Care. Read below to learn more about the company and its signature product, Miracle Oil. 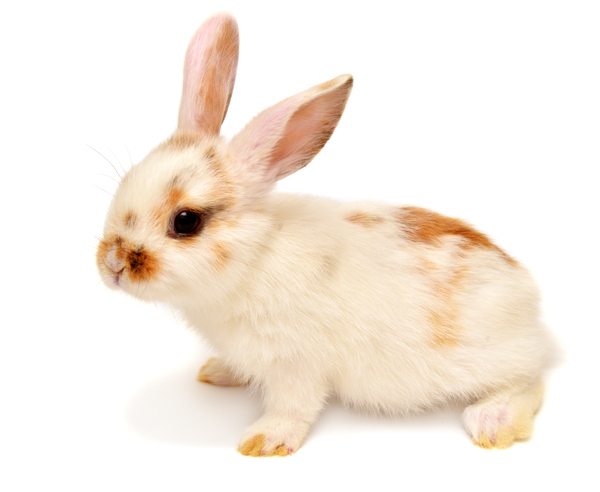 Also be sure to check out our review of the Miracle Oil on the Leaping Bunny blog now. 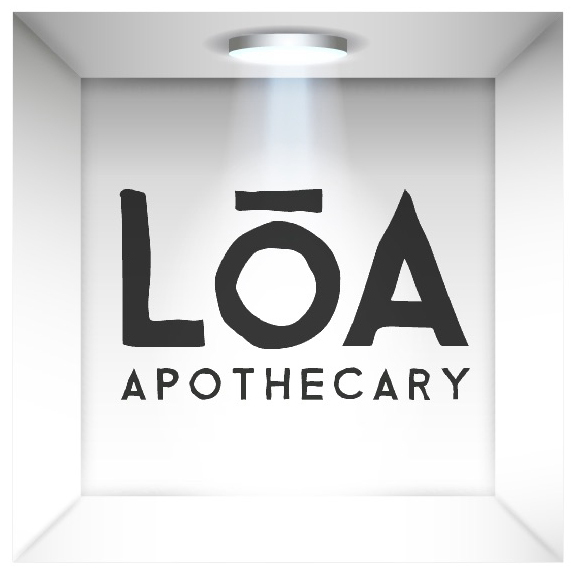 What was the inspiration behind the creation of Lōa Skincare? My inspiration actually began in high school. I was addicted to synthetic lip balms, and relied on them to give me relief from my dry, cracked skin. Of course, I eventually clued on to the fact that they were making the condition on my lips worse, which prompted me to find an alternative. After researching all of the toxic chemicals I was applying to my skin, I started creating my own lip balms using only natural ingredients. I was so impressed with the results, I continued on with this newfound passion by learning more and more about skin health and holistic nutrition. Some might even say I became a little bit obsessed. This ultimately brought me to a point where I knew I had solutions to common skin problems that could really help people. What is the story behind the company's name? I wanted a name that represented our connection to Earth. In Western society, we have strayed so far from nature and our ancestral roots to the point where we now rely on pharmaceutical drugs to treat our health problems. I brainstormed and came up with Lōa which stands for land, ocean, and air. It's meant to be a healthy escape from synthetic and environmentally destructive ingredients. Tell us about your product Miracle Oil? What makes it so special? Miracle Oil is a potent anti-inflammatory moisturizer. It was created to help bring relief to those who suffer from inflammatory conditions such as acne, eczema, and psoriasis. What I have discovered over the years is that these conditions (among others) usually have something in common: an omega-6 essential fatty acid deficiency. Yes, fatty acids aren't just good for your brain! This is why half of Miracle Oil is made up of evening primrose oil, it's packed full of omega-6, and has been shown in numerous studies to significantly improve these conditions. Miracle Oil is also infused with 10 nutrient-dense herbs to calm irritated skin and bring it back to a state of balance. It's 100% vegan and made with only organic and non-GMO ingredients. Absolutely. I'm vegan myself, and would never use any animal-derivatives in my products. 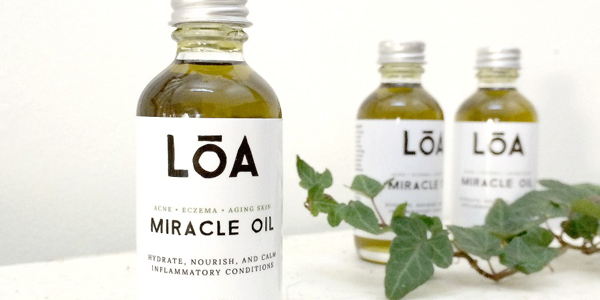 What do you think makes Lōa Skincare and its products different from other similar companies? I would have to say the biggest difference is ethics in terms of transparency and product cost. I think just about everyone has noticed how expensive certain types of natural and organic cosmetic products can be. For example, doing a quick Google search you'll find a multitude of brands that have the word organic in their name, and claim that their products are natural and made with organic ingredients. But, when looking at the actual ingredient list, they're usually made up of mostly water. Lotions, which are nearly impossible to find organic, are made up of 70-80% water. On top of that, if a brand is marketing their product as containing an ingredient like olive oil, for all you know the olive oil could consist of less than 2% of the whole formula! You literally could be spending $20 on a container of water with some synthetic and natural ingredients mixed into it. If you've ever noticed your skin still getting dry after using a moisturizer, this is why. The constant greenwashing and price markups in the industry is very sad. This is what I mean by ethics, I'm not in business to sell people expensive water or something that isn't what I say it is, but rather affordable products with ingredients that speak for themselves. What has been the most rewarding part of creating Lōa? As cliché as it sounds, I get so giddy every time someone comes back to me with feedback. Even before launching, just seeing, first-hand, the improvements Miracle Oil made in not only people's skin, but their lives was so incredible. I would have never started a business doing something I didn't absolutely love and feel passionate about. I was extremely happy when Lōa became Leaping Bunny certified because it's really in line with who I am. I'm always advocating animal rights, not as a preacher, but as an educator. I know Leaping Bunny is an amazing organization, the logo is so widespread now and has obviously got people thinking in a more progressive way. I'm a firm believer that people can change the world with their lifestyle choices, and I wanted Lōa to be a part of this movement. What is something unique about Lōa that others may not know? I don't think a lot of people know that we're actually based just outside of Vancouver, Canada. We try to support local businesses as much as we can, so we purchase all of our packaging materials and glass bottles here. when you use code LeapingBunny at checkout. 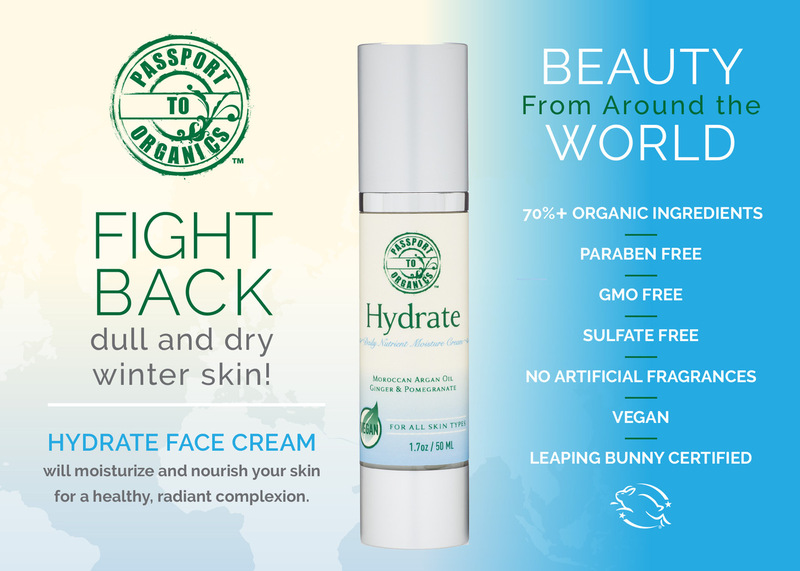 Visit PassportToOrganics.com to see our entire product line.